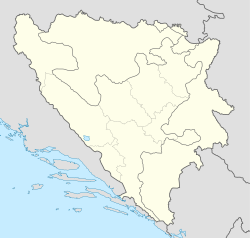 Bronzani Majdan (Serbian Cyrillic: Бронзани Мајдан) is a village in the municipality of Banja Luka, Republika Srpska, Bosnia and Herzegovina. This article about a location in the municipality of Banja Luka, Republika Srpska is a stub. You can help Wikipedia by expanding it. This page was last edited on 14 March 2017, at 05:51 (UTC).